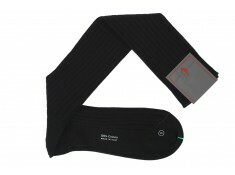 Black socks are always easy to wear, and often accompanies you to the office. 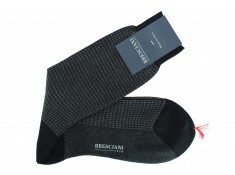 Our wide range of blacks include houndstooth and herringbone prints by topnotch sock maker Bresciani. 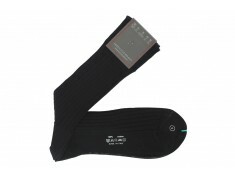 Double-faced chic comes in black and bordeaux by Calzificio Palatino. 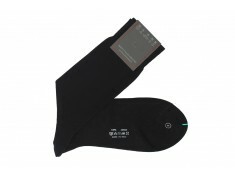 Discover a variety of blacks with pink and blue: discreet and chic all at once. 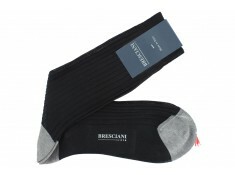 High-quality materials and serious attention to detail make up Bresciani’s philosophy, which has made this Italian brand one of the leading manufacturers of men’s socks since Mr Mario Bresciani founded it in 1970. 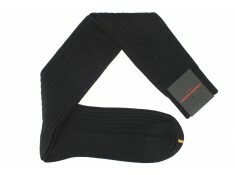 These over the calf socks are black and ribbed. 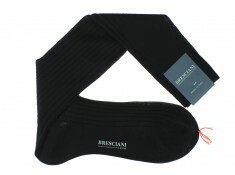 They are made from cotton lisle in Italy by Bresciani. 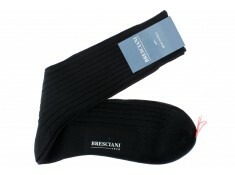 Discover these double-faced black and blue over the calf socks, made in Italy by Palatino, 27 euros. 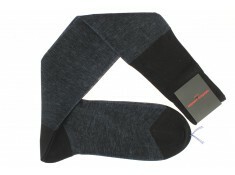 Discover these wool over the calf socks made by Palatino. 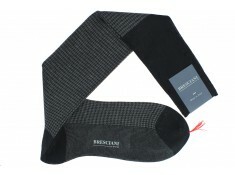 They come in black, 27 euros.